A basic item of clothing shouldn’t induce an identity crisis. But as my short, athletically built compadres can confirm, we undertake an exhausting mental calculus when selecting a T-shirt. Namely: A tee too small may appear to be a vainglorious attempt to prominently display our gym-enhanced arms and chest. Meanwhile, a tee too large makes us look as though we’re halfway through a Benjamin Button-esque reverse-aging shrink. This is the plight of the shmedium. Though the initial definition is relatively accurate (a shirt too small for the wearer), the overall sentiment is wrong. 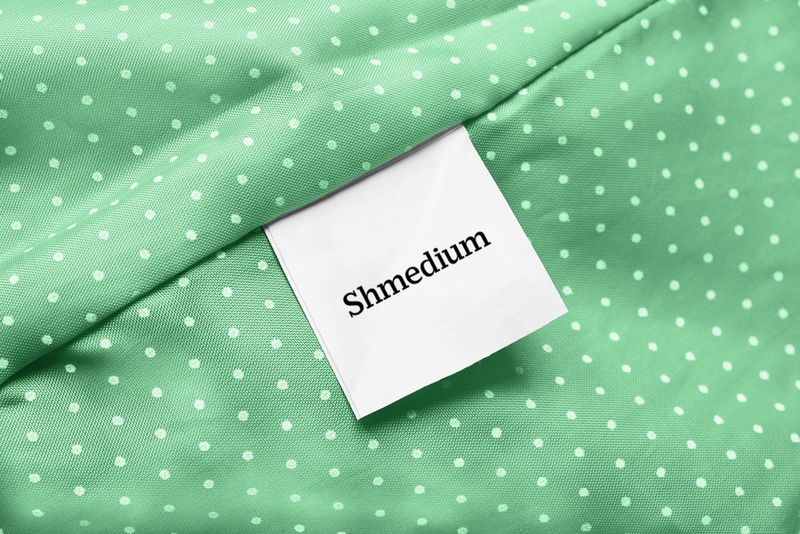 (Also important to note: “Shmedium” as colloquially used, does NOT refer to a size between small and medium.) 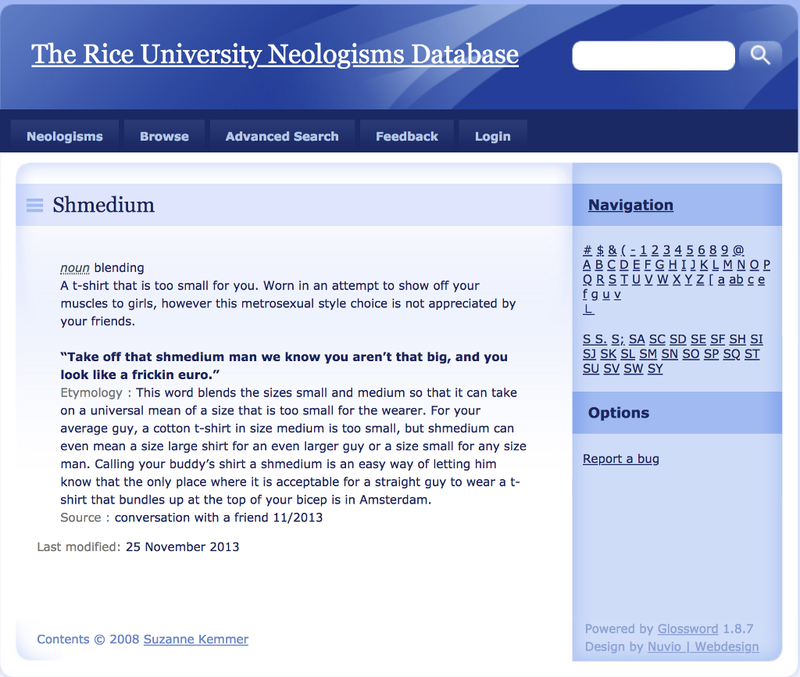 This sentence in particular demonstrates the inconsistency in the Rice University definition: “Take off that shmedium man, we know you aren’t that big” — as if being larger would justify a smaller shirt. Could then the entire shmedium conundrum be avoided by going up a size? This unfortunately presents a new, but related problem: Often, you’ll look like a child swimming in their clothes, which ultimately gives off an unwanted youthfulness. The reactions were varied, but all were helpful in their own ways. “[S]top being scared of showing off your muscles. You worked hard for them,” read the top comment. Another opined, “Just because the sleeves and shoulders are a little snug doesn’t mean you’re trying too hard. If you buy those skin-tight clothes like the fitness bro douches on Instagram wear, then I think you might be pushing it a little.” Vintage and loopwheeled (the antiquated loopwheel machines apparently produce superior quality garments) T-shirts were recommended, too, as the cut better fits shmediums. Several people also suggested buying large shirts, and then having them altered, which is beyond my patience or capabilities, but shows the lengths some men will go to find the right fit. Still, not everyone strives for perfection in this regard. “If you’ve been working out and you’re confident in how your body looks, then you’ll look good, even if something isn’t necessarily fitting you perfectly in all areas.” Finally, some just stated the obvious — suggesting I should simply bite the bullet and wear a medium. From a comfort perspective, tighter shirts are less comfortable, and seem to prompt a perspiration response from my armpits. Someone mistaking me for a “fitness bro douche” may interrogate me for my weightlifting stats. For the final word, I ask another friend, Ashish Gurnani, who started a clothing company in India, for his thoughts, figuring he’d have a detailed selection process. He, however, does not: “Shoulders should fit, and I should look jacked af,” he replies. Could it be that there’s no right answer? Maybe. One thing is clear, though: There’s clearly a market looking for better-fitting T-shirts, and the first person to cater to it will make more than a shmedium amount of money.